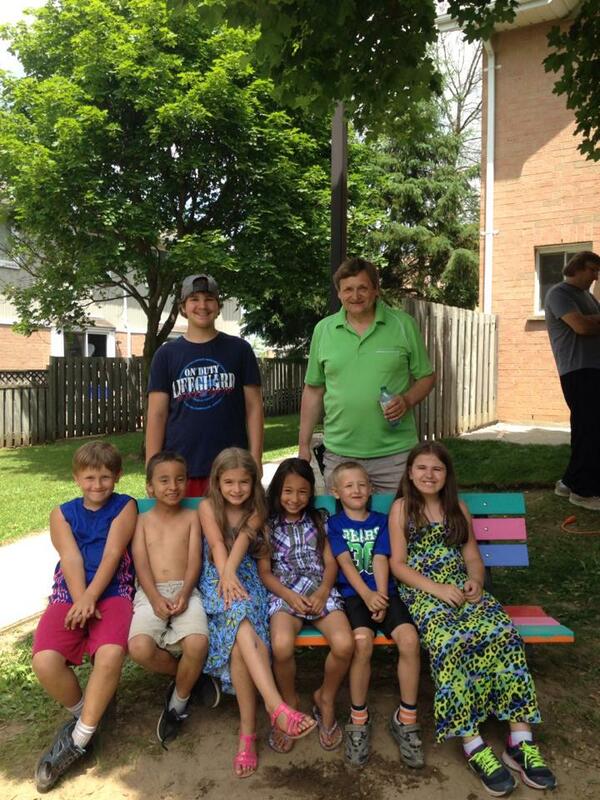 The adults and youth at one of our family sites took on a beautification project by painting the old benches near a recently installed playground in the common area of the property. 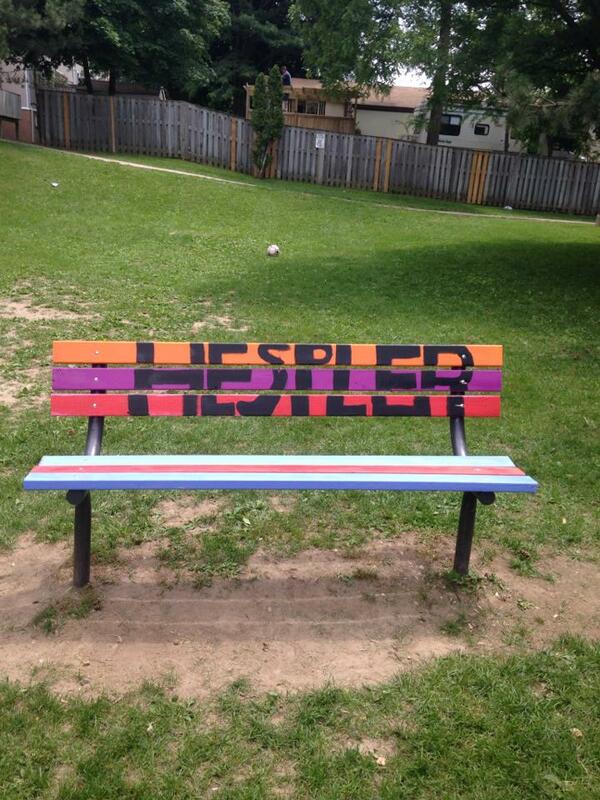 These once old dingy benches have now been replaced by bright colourful pieces of art which provide seating and declare the communities’ love for Hespeler Village. 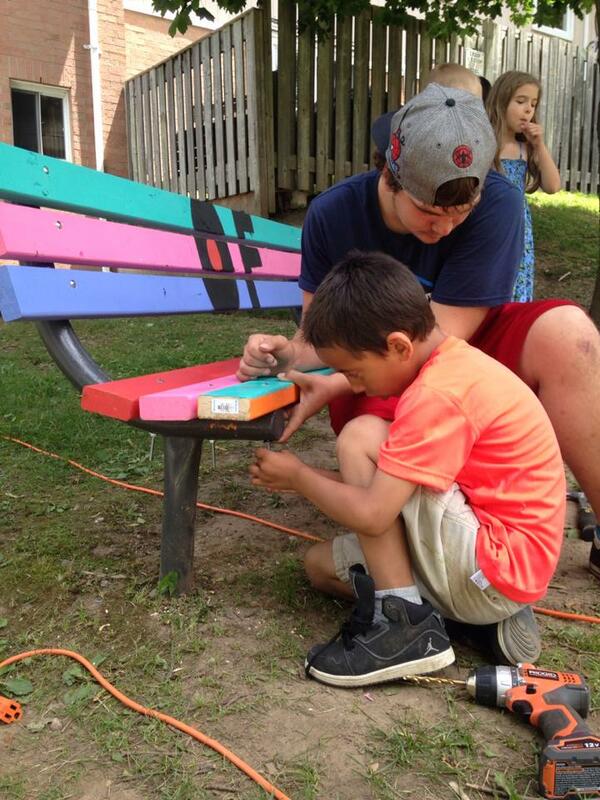 The activity engaged the youth through allowing each child to choose a color and to paint the pieces of wood that made up the benches. 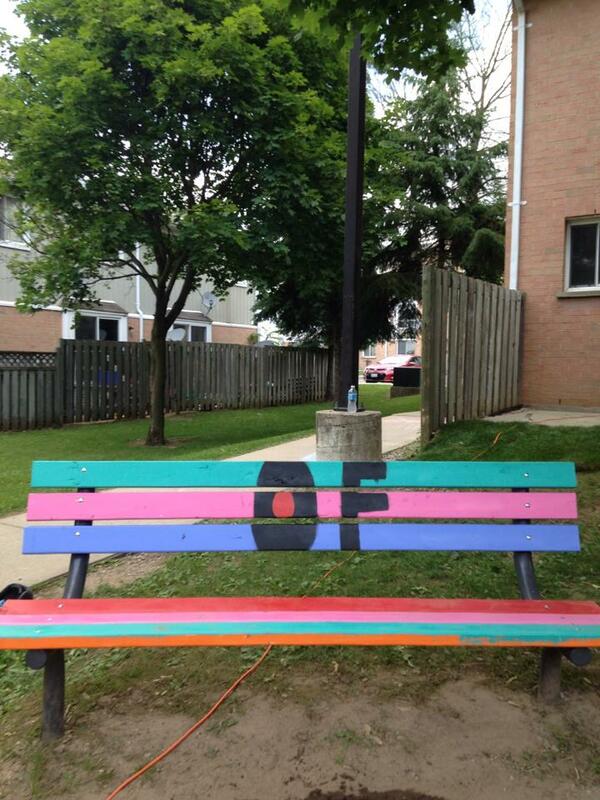 The result has brought pride, beauty, and colour to the community. 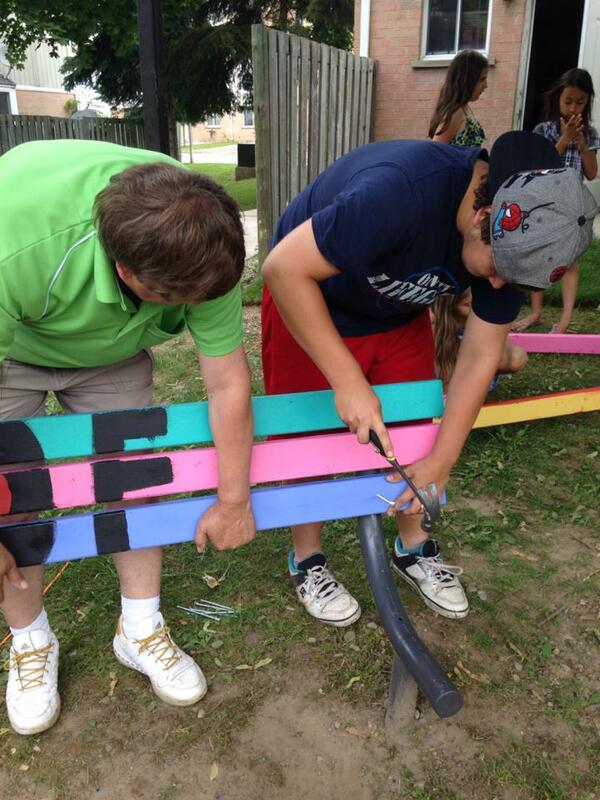 Andy, our Housing Cambridge Maintenance Worker, worked with the youth to reassemble the benches after they were painted. 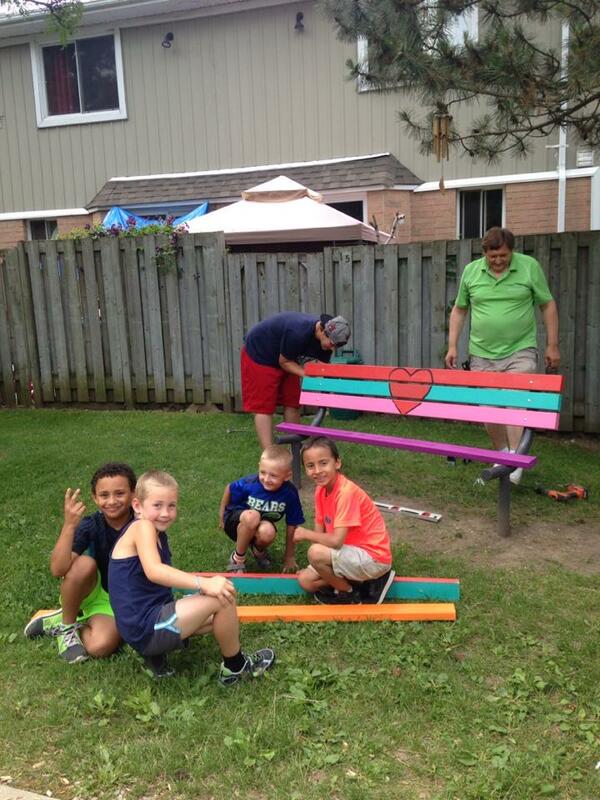 The youth are very proud and excited about these colourful additions to their playground area! 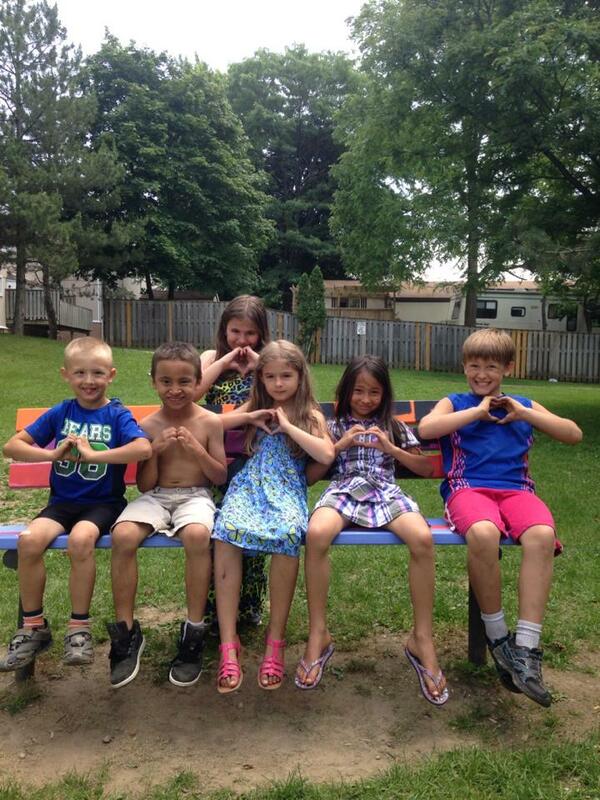 See the pictures of their amazing contributions below! 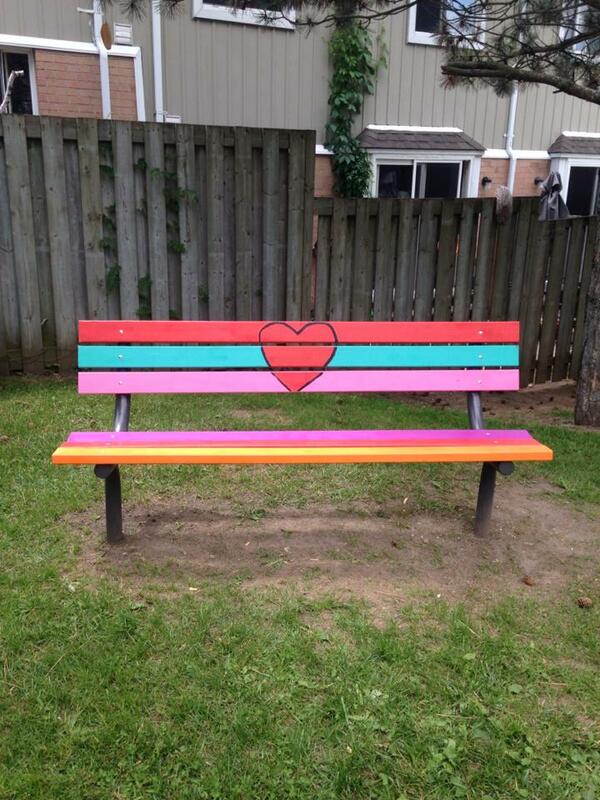 Amazing idea . 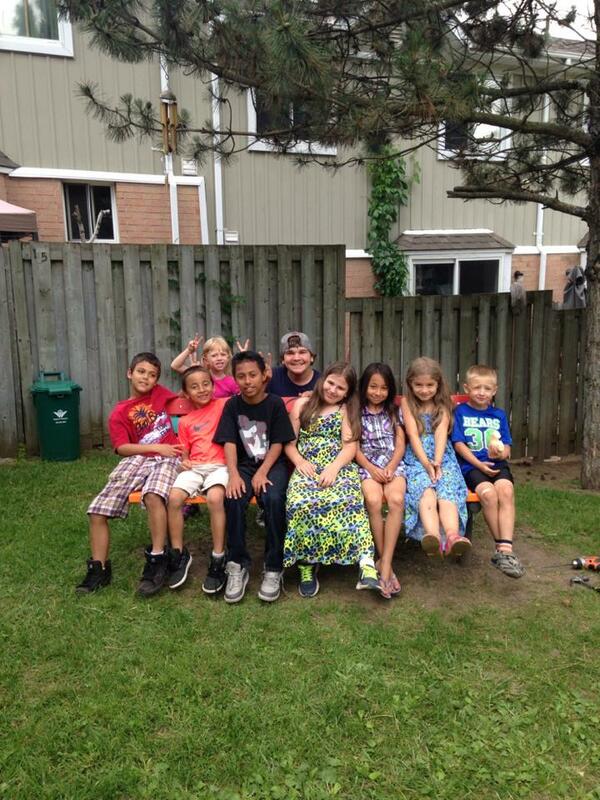 Count me in if you are thinking of doing more .